The Republic of South Africa, as the name suggests, is located at the southernmost tip of the continent of African. It shares its borders with other countries like Namibia, Botswana, Zimbabwe, Mozambique, and Swaziland. There is also an independent nation, Lesotho, which is entirely enclosed by the South African territory. South Africa is one of the most ethnically varied countries on the African continent. It is home to the largest population of people of European outside of Europe and those of Indian descent outside of Asia. The majority of colored people of mixed European and African races reside in South Africa. Racial and cultural discords between the majority of black people and the minority of white people have been a great factor in the development of the country’s history and politics. South Africa is counted amongst the regional powers, which constitute the most constant and laissez-faire democracies in Africa. It is a constitutional democracy with a three-tiered governmental system and a sovereign judiciary, which operates under the parliamentary system. The economy of South Africa is also amongst the largest and most developed in Africa, having the most modern infrastructure which is common throughout the country. The most interesting aspect about South Africa is that there are 11 main official languages, namely Afrikaans, Zulu, English, Swati, Xhosa, Ndebele, Northern Sotho, Southern Sotho, Tswana, Venda, and Tsonga. In the list, it is ranked second only to India. South Africa offers the tourists some of the most beautiful ancient archeological sites. The traces of age-old history are found in widespread fossil remnants at the caves of Kromdraai, Sterkfontein, and Makapansgat. This is the clear evidence that various australopithecines existed here three million years ago. After apartheid, the new provinces were made to give the local governments more resources to allocate uniformly in the smaller areas. The new provinces are Eastern Cape, Free State, Gauteng, KwaZulu-Natal, Mpumalanga, Limpopo, Northern Cape, North West and Western Cape. South Africa is a rich and diverse country teeming with natural beauty, unique and fascinating cultures and an amazing historical heritage. This is the land where two oceans meet, where warm weather lasts for most of the year, and where the magnificent Big Five of Africa are to be found in the many National Parks and private reserves. South Africa is the powerhouse of Africa. It is the most advanced country on the continent, with an economy and infrastructure to match any first world country. South Africa is home to over 56 million people of different cultures, religions, languages, and beliefs, making it one of the most diverse countries you will ever visit. South Africa is home to some of the finest accommodation in the world. From the laid-back city of Cape Town, the bustling business hub of Johannesburg, the surfing paradise of Durban, the lush wilderness of the Garden Route, the wide open spaces of the Northern Cape and the tranquil beauty of the Cape Winelands, guests will find South Africa accommodation to suit all needs, whether for business or pleasure. South Africa has a wonderful climate with a wonderful warm sunshine all year round. Because the country is located in the southern hemisphere, the seasons are the opposite of those in Europe. Here winter means summer! This makes South Africa the ideal destination if you want to escape winter in Europe. 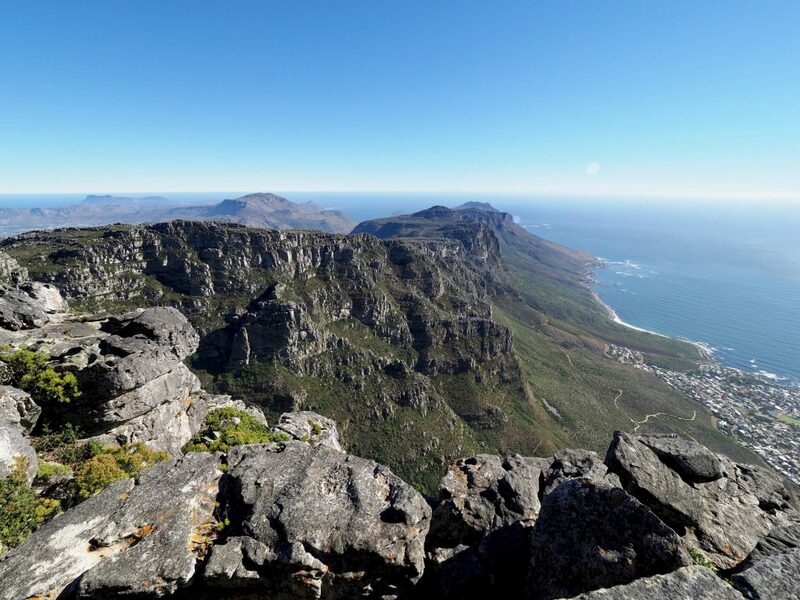 Cape Town and the southern part of the Western Cape have a Mediterranean climate, with hot summers and warm winters. Durban and the coast of KwaZulu-Natal, on the other hand, are subtropical, with a great deal of sunshine throughout the year! In general, the South African summer, from November to February, is characterized in the greater part of the country by hot weather with thunderstorms during the afternoon, which quickly clears up. A warm, unique smell of earth is released into the air during clearing! Autumn runs from March to May and offers the best weather. The rainfall is limited, throughout the country, and it is hot but not too hot. It gets cooler as time goes by. In Cape Town, autumn is fantastic, with hot, sunny days and warm, gentle evenings. Most people spend their evening outside on a cafe terrace. For observing wild animals, the clear, dry days of South African winter are the best. Because of the sparse vegetation, it is easier to see the animals. Winter in the higher areas is characterized by dry, clear, sunny, cool days and cold nights. Certainly, do not forget to bring warm clothing during this period! The lowveld and the coast of Maputoland have fantastic weather in the winter with sunny, warm days, it rarely rains or is windy. In the Western Cape, the most rain falls in the winter and there may be a few days with gray, cloudy, rainy weather, but always alternating with beautiful sunny days. High in the mountains of the Drakensberg and around the Cape, it may snow. Skiing is possible in a few places. Spring is also a time of renewal in South Africa. Everywhere you see bright green buds appear on the trees and young grass get along in the field. But nowhere is spring more spectacular than in the Cape. Huge quantities of plants then cover the plains with a garment of flowers, in all colors of the rainbow. Annually, many South Africans undertake a pilgrimage to admire the flowers of Namaqualand in the Western and Northern Cape. South Africa is a good travel destination all year round. For safaris, the best travel time is the end of spring, August, and October. You should also take into account the periods for whale watching. The southern whales swim off the coasts from mid-June to the end of October. The humpback whales from August to December. Diving and surfing are best in winter, from June to September. The other periods are also possible. If you are a nature lover, the flowers are at their best in August and September. Whitewater rafting on the Cape is best done at the end of winter. In KwaZulu-Natal in summer, from late November to February. Mpumalanga and Limpopo are good destinations throughout the year. Spring and autumn are the best times to wander around because the summer may be too hot. In the Drakensberg, you have to take into account thunder in the summer, which can be dangerous. There is a reasonable chance of snow in winter. Winters can be wet in the Cape. If you are a bird lover, the arctic migratory birds arrive in November and the African migratory birds usually arrive in mid-October. If you want to go skiing, snow is guaranteed from June to August. If you are someone who wants to enjoy the beach all day, then the middle of summer is the best time, although the rest of the people are there too. The beaches in northern KwaZulu-Natal are warm and sunny, even in the middle of winter. Tourists in South Africa have the opportunity to discover the real Africa, to learn about the people and their way of life, culture, and history. South Africa is now known for its fascinating cultural heritage. You can also discover the links with the distant ancestors of mankind. South Africa has archaeological sites such as the Sterkfontein caves at Krugersdorp in Gauteng and Makapansgat, at Mokopane (Potgietersrus) in the Limpopo Province, where evidence was found of very early human settlements of more than three million years ago. During a visit, you will discover why the country is called the Rainbow Nation. You will have the opportunity to view the colored mosaic that composes South Africa’s contemporary society. The reconciliation and mutual respect that is now spreading throughout South African society help the country to strengthen its multi-ethnic origins. This South African cultural mix consists of many different groups. Hunter collector San is the original inhabitant of South Africa. Few of these original inhabitants are left, but the evidence of their years of presence has been preserved in the murals found in various caves. These people lived in small groups or families with few personal possessions. Because they had no idea of their property rights, in the vast vast area they lived in, there were no social conflicts. 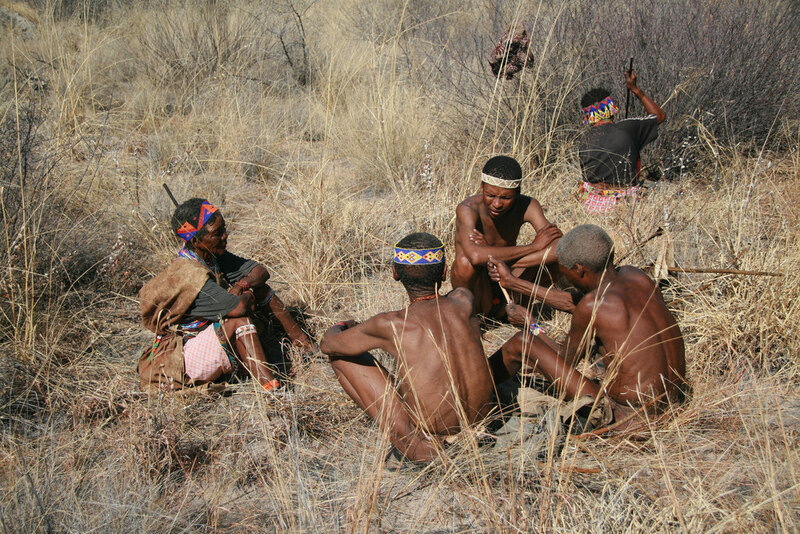 The San still live in their traditional way in the remote areas of South Africa such as the Kalahari desert. A step further on the ladder of history, we find the Khoikhoi, cattle, and shepherds, who formed polygamous communities led by a captain. They lived in round huts of wood and mats that could easily be broken down when looking for new meadow areas. 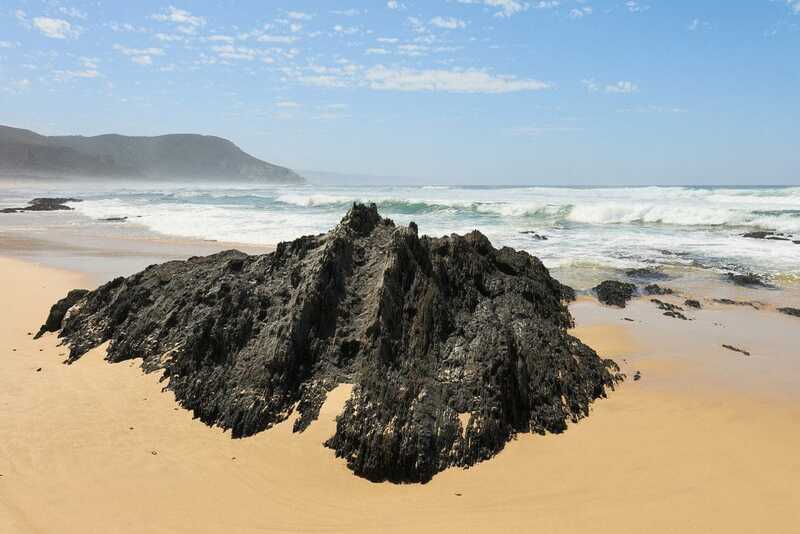 The Khoikhoi were the first people to meet the Dutch pioneers at Table Bay. The Dutch called them “Hottentots”, probably because of the clicking noises that they made when speaking and which they misunderstood as stuttering. The majority of the South African population consists of black Africans who are proud of themselves and the many facets of their ethnological origins. In urban areas, most Africans have taken over the western way of life, but in the countryside, there are still many remnants of their original traditions. Lesedi Cultural Village in Lanseria, Gauteng, is a multicultural African village less than an hour’s drive from Johannesburg. It consists of a number of different farms and villages. Each visitor is accommodated as a guest with a traditional African family to learn about their culture and way of life. The evenings are spent around the campfire with traditional dances, stories, and chants. The first Europeans to set foot in South Africa were the Portuguese. In the course of time, the Cape attracted settlers from the Netherlands, France, Germany, and England. Of the 56 million people in South Africa at present, there are about six million of European origin. Slaves from Madagascar and Java were also brought to the Cape, while contract workers from India worked on the sugar-cane plantations of KwaZulu-Natal. Despite its relatively small size, the Jewish community plays an important role in many areas of South African life. The Chinese and Greeks add a further, valuable dimension to the South African cultural mix!